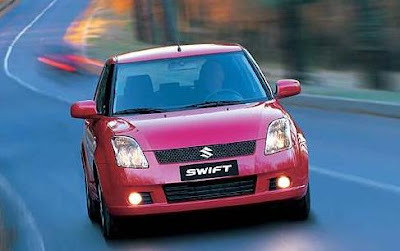 Maruti Suzuki is going to showcase a new hybrid model of Maruti Swift in Tokyo Auto Show 2010. The Company has not given any information regarding the model including technical features. It will only be a concept hybrid car and the company will carry forward some changes in exterior. This model is apart from regular Maruti Swift. The little information received from the company that Hybrid model will be powered by small petrol engine comes in coupled electric motor with electrical current stored in a lithium-ion pack. It's easy to charge from an electric point at home. Now see an additional feature, the company has provided it with a main feature that it runs mainly on electric motors and the fuel engine supports it when needed. Maruti Suzuki has entered in the Hybrid car segment with Swift Hybrid. This hybrid car is still in concept stage but company will rolled it out in production stage in less than 18 month. It is expected that this car range of about 20km in a day alone with electric power. Swift hybrid would be better to suite for short communicating and local area.